Not all Teeth in a Day procedures are the same. There are a few things the patient needs to know about before they commit to having this procedure done. There has been a lot of hype regarding Teeth in a Day. At its most basic, Teeth in a Day, is simply all about what kind of teeth you will wear while your implants are healing. Dental implants take about 3-6 months of healing before they are ready for the final prosthesis to be made. This is because it takes time for the bone to heal around them and for the gums to mature after all that surgery. Traditionally while we were waiting for everything to heal the patient had no choice but to wear a removable plastic denture during this healing period. This can be painful as the denture is sitting on top of a surgical site, as well as not very functional or aesthetic. 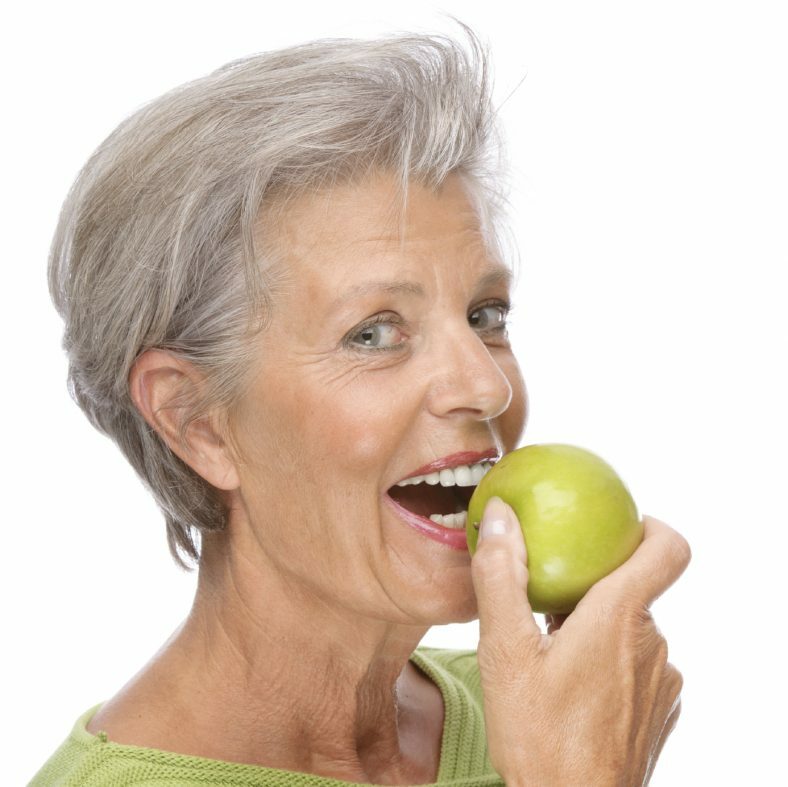 Loose dentures that are painful to eat on are not exactly confidence inspiring. It was something that people just had to put up with because there was no other way. Teeth in a Day has changed all that. Now, you can have the teeth removed, the implants placed and temporary teeth attached to the implants right away. No more dentures during the healing phase. Obviously this is a very complicated, advanced procedure as there is a lot going on in a very short amount of time. Teeth have to be removed with the bone around those teeth preserved. Implants need to go into the correct position. Just doing this much is extremely advanced. Now we also have to get a whole arch of teeth fitted into the correct position for your smile and fitting into a proper bite to allow you to function properly. You definitely need a surgeon who is an expert in both surgery and prosthetics with implants to be able to pull this off. This is why very few dentists are even able to offer this procedure at all. Measurements are taken before the surgery and used to pre-fabricate the temporary teeth, assess for bone volume and positioning of the implants, whether or not bone reconstruction will be required and a myriad of other factors. On surgery day, the teeth will be removed, the implants will be placed into precisely the correct positions, bone reconstructed as necessary, and the temporary teeth will be fitted. After 3-6 months of healing, construction of the final prosthesis will begin. Teeth in a Day- The Arvanitis Way! 1. How many implants will be used? Many practitioners in an effort to cut costs use a technique called “All on 4”. They use 4 implants to hold up the teeth. This is the minimum number of implants required. We have a saying in the industry- All on 4- none on 3. What this means is that if anything happens to any of those implants, then the remaining implants will not be enough to hold the prosthesis and you go back to wearing a denture. Dr. Arvanitis plans all his cases with 6 implants but keeps his fee the same or less than others who plan with 4. Dr. Arvanitis firmly believes that cutting corners on the foundation is not a recipe for long term success. 2. What material is the temporary prosthesis made from? Teeth in a Day’s terrible little secret. This section will describe to you the most important difference between Dr. Arvanitis’ technique and what the rest of the entire Teeth in a Day industry is doing. There are 2 materials/methods that your temporary bridge can be made from- Converted Acrylic Dentures or Milled PMMA. Let’s begin with what the industry standard technique is using for the temporary “Teeth in a Day” teeth. First of all you need to understand what a denture is. A denture is made from a set of individual, pre fabricated acrylic teeth that are set in a pink plastic resin base. The teeth are factory made and come in different sizes, shapes and colours. Most importantly they are individual and not joined together in any way. These teeth are then set into the pink resin base. It is this resin base that holds them all together. If the base wasn’t there then the teeth would just be a pile of teeth on the counter. The temporary teeth are first set up as a full denture. During the surgery, once the teeth have been removed and the implants have been placed, special posts, called abutments, are fitted to the implants. The temporary denture has holes pre-drilled into it corresponding to where the implants and their abutments will be. The denture is then fitted and glued onto these abutments. 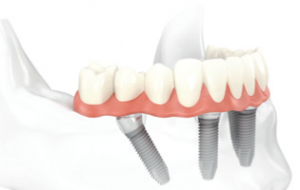 Once set, the abutments are unscrewed from the implants and the denture is removed. This is then “converted” into a temporary bridge by cutting off the excess plastic from the denture. This converted denture is then re-attached to the implants and voila- “Teeth in a Day”. Awesome right? Not so fast. Remember I said that a denture needs that pink base in order to hold all the teeth together? Picture for a moment that you have your teeth. And at the edge of your teeth are your gums. Now remove the teeth. The gums are still where they used to be. Now let’s add the denture on top of those gums- we have 5 mm of pink resin base and then the teeth. Picture that pink resin sitting right where your teeth used to be, and then the teeth sitting down 5 mm lower than where they used to be. Do you think that would look correct? Smile and picture it. Instead of seeing teeth you now see gums and then teeth. Obviously this wouldn’t look or function correctly. SO- how do they fix this apparent conundrum? By removing half a centimeter of your jaw bone! Yes, you understood this correctly. This is “Teeth in a Day’s” terrible little secret- they mutilate your jaw without telling you and you end up with a prosthesis that is difficult to keep clean. Instead of just having a set of teeth you end up with a set of teeth with a thick base that moves the junction line of the prosthesis and your remaining gums, way up under your lips making it hard to keep clean. Dr. Arvanitis’ Teeth in a Day is Different. A few years ago, together with my lab, I figured out a way to make temporary teeth a different way. not need the base. Since I don’t need a base, I don’t need to make room for a base and therefore I do not need to cut away any bone. Picture my temporary teeth. You lose your teeth. Gums are still where they were. My teeth fit into the space where your teeth used to be. Teeth replacing teeth! Now this is easy to take care of. No ledges to catch food when you eat. Easily accessible for cleaning. AND best of all I don’t turn your mouth into that of an 80 year old denture wearer. 3. What is the final prosthesis made of? And finally we come to the final prosthesis. There are 2 materials being used today for fabricating the final prosthesis- fixed acrylic dentures and fixed CAD/CAM milled porcelain bridges. The one used by most dentists offering Teeth in a Day is a fixed metal reinforced denture. Once again just like the temporary teeth, the final bridge is made from denture materials. Why? Because it is easy, and cost efficient- meaning more profitable. Now don’t get me wrong, these dentures look great and work very well. They just aren’t the best we have. Denture teeth are made of plastic and they will wear out and discolour in time. They are also not very strong and have a tendency to break when attached to implants as the chewing forces are much stronger with implants than without. This is why the final denture has a metal frame in it- it would crack without it. 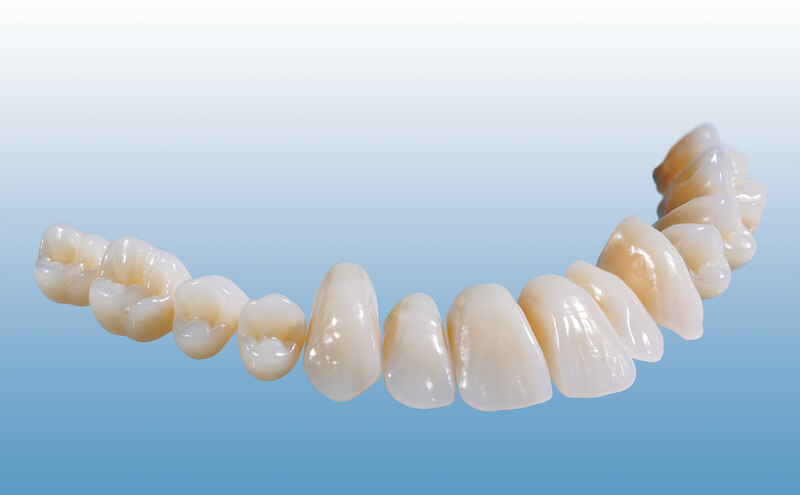 In my practice my standard prosthesis is the milled Zirconia porcelain bridge. It is a much stronger and longer lasting material and I offer it as my standard prosthesis at the same cost as what others offer their patients the denture option for. Temporary teeth are made from a converted denture with bone reduction and mutilation. Final prosthesis is metal reinforced plastic denture on 4 implants. Teeth with prosthetic gums = Hard to clean. 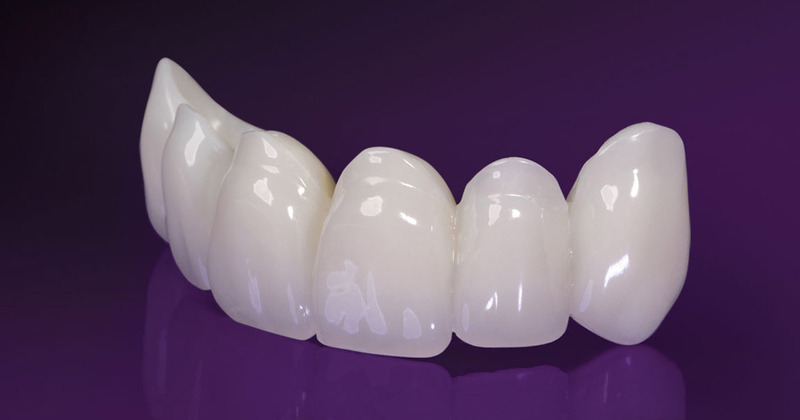 Milled PMMA temporary bridge with no bone reduction. 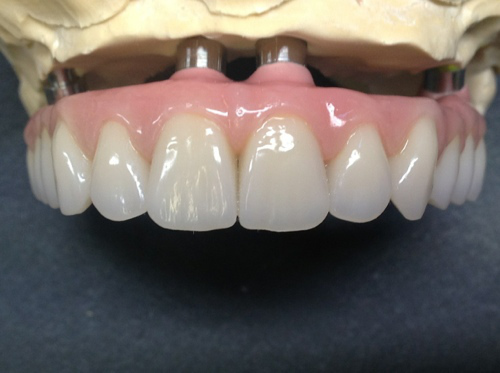 Final prosthesis is a milled Zirconia porcelain bridge on 6 implants. Teeth with your gums = Easy to clean. 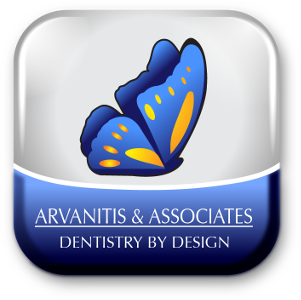 Schedule your Free Consultation now and see what Dr. Arvanitis can do for you!! Please use this for general practice inquiries only – specific patient care questions must be addressed with your doctor during a consultation appointment. Click on following link, or use the Contact Us form below. 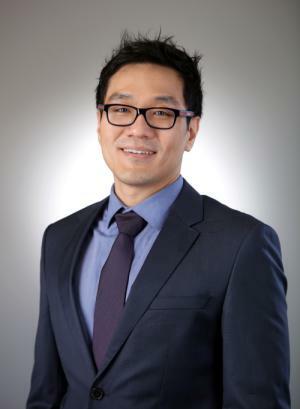 Dr. Lee was born in South Korea and moved to Canada when he was 15. He graduated from New York University College of Dentistry in 2014, and decided to come back home to Canada to practice dentistry. He has been delivering high-quality, comprehensive dental services in Toronto and Waterloo ever since. Dr. Lee is a friendly and caring dentist, who firmly believes in minimally invasive dentistry. His main goal is to prevent dental issues before they start. He is a general dentist with a special interest in root canal treatments and children’s dentistry. In his spare time, Dr. Lee is a director/sculptor at the Yisom Art Studio in North York, fostering children’s creativity and self-expression through art. He loves working with children and spending his time creating art pieces in and out of the dental clinic. Dr. Ava Naghavi graduated with Honours from the Faculty of Dentistry, University of Toronto. Prior to that, she received a Bachelor of Science in Psychology and Biology from York University. She is a member of the Ontario Dental Association, the Canadian Dental Association and the Academy of General Dentistry. She is passionate in all areas of general dentistry and is committed to provide comprehensive patient-centered oral health care. 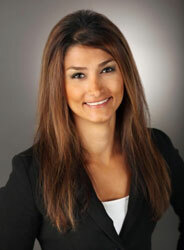 Dr. Naghavi enjoys working on kids and is certified in oral sedation to help with treatment of anxious patients. She is also a certified Invisalign provider, looking forward to work together with you and your family to achieve a healthy and sustainable smile. 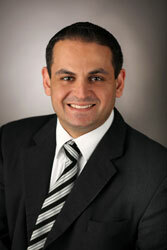 Dr. Farhadian attended the University of Western Ontario in London where he obtained his Bachelors degree in 2003. He then attended the University of Toronto Faculty of Dentistry where he was awarded the prestigious Award of Excellence in Clinical Prosthodontics in addition to his Doctor of Dental Surgery Degree. He has been in private practice since then and his special interests include working with children, Oral Surgery and wisdom teeth extractions. Dr. Mike (as he likes to be called) is a strong believer in giving back to the community and he has been involved with the Big Brother program and the Canadian Armed forces Army Reserves. He has shown himself to be a very conscientious, gentle, and caring dentist and has been very well received by his patients.